SPECIAL DEAL - Usually 44.97, today just 14.97 - Save £30! 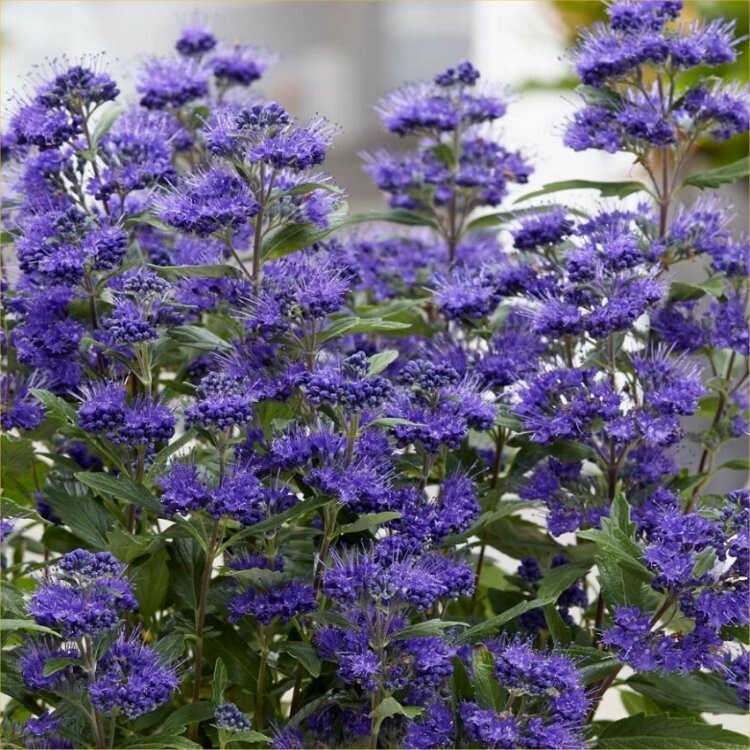 Caryopteris Grand Blue is a fantastic low growing hardy shrub for the late summer garden, producing large clusters of bright blue flowers from August through September, and often beyond. They appear over the stems which are covered in aromatic, grey-green leaves. 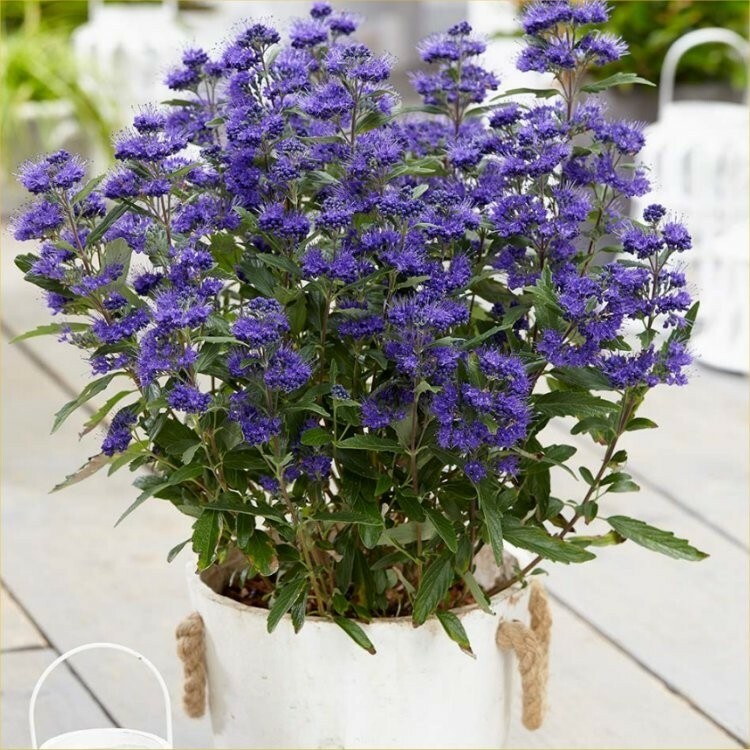 Caryopteris Grand Blue has a strongly upright growing habit, making this lovely shrub the perfect choice for the middle of a sunny shrub or mixed border, it can be combined with other plants, or used in a group for greater impact, or perhaps shown off in a roomy patio planter. Also known as 'Blue Beard' Caryoptris is perfect for beneficial pollinators and insects, proving a magnet for bees and butterflies. Once established it is also reliably drought tolerant, which is handy in hot dry summers as the plants can look after themselves. Supplied in 2-3 litre containers.